To help the more than 1 million Americans diagnosed with inflammatory bowel diseases, or IBD, the Crohn’s & Colitis Foundation was created to eradicate these painful disorders, and as you can imagine, we as healthcare professionals play an important role in that mission, which is why the foundation developed training programs to help us provide the best care possible for our IBD patients. Coming to you from the ReachMD studios in Fort Washington, Pennsylvania, this is Crohn’s & Colitis Perspectives on ReachMD, and I am your host, Dr. Jennifer Caudle. Here to tell us more about the foundation’s educational programs is Michael Osso, President and CEO of the Crohn’s & Colitis Foundation. And thank you, Michael, for being here today. It’s a pleasure. Thank you, Dr. Caudle, for having me. Absolutely. So, let’s begin. Can you first share with us the overall focus of the foundation’s professional education and how these programs were developed? Yes, I think everything that we do as an organization is focused on the patients. We are patient-centric in every way. We invite the patients in for all of the development of our mission programs, and even the way we develop professional education programs. We want those professional education programs to be from the patients’ perspective, recognizing that that’s key to getting everyone to better care. I think that’s a really great and, actually, a very unique perspective. I think that’s fantastic. What are some of the biggest challenges that physicians face when diagnosing and treating inflammatory bowel disease, and how does your curriculum really address them? IBD is very complex. Crohn’s disease and ulcerative colitis are complex diseases. There are no obvious diagnostics or obvious treatments. The disease is very individualized, and we recognize that not only do we have to treat each patient as an individual, but there are multiple factors that influence the disease and the care, including things like psychosocial elements and nutrition, and so we recognize that we have to educate all of the providers in the mix. So, we have education programs for clinicians and gastroenterologists, but also for nurses and for advanced practice providers and increasingly even for nutritionists and psychologists. We’re looking to develop education programs that address all of the healthcare professionals in the mix. Right, that’s wonderful. And with the challenges in mind that you talk about and sort of the complexity of IBD, what types of programs and tools are available to healthcare providers? There are a variety of things, I’m happy to say. We have live and online education programs. We have 38 chapters across the country. In many of those locations, there are live education programs, specifically for healthcare professionals, and increasingly a host of things that are online. We also have an annual conference that’s called the Crohn’s & Colitis Congress. It’s happening February 7th through 9th in Las Vegas this year, and this is an opportunity for providers from multiple disciplines to come together—as I said, gastroenterologists, nurses, but also nutritionists and psychologists—to learn together in that setting. We also have preceptorships. We have live, in-person preceptorships and also virtual preceptorships. We host something called Visiting IBD Fellows Program for researchers. So, we’re trying to address the education needs of providers in a variety of ways. Right. It’s very multidisciplinary that you talk about, like your approach, which I think is wonderful, especially with IBD. I think it’s very important. Yes. We spoke a bit earlier about how the foundation is addressing the training challenges faced by physicians, so now can you tell us a little bit about the resources available to help physicians incorporate patient priorities into their practice? Yes. Increasingly, and not just in IBD space but, of course, across the healthcare sector, there is a focus on shared decision-making. There is a real need to make sure that the patient has a voice in that conversation and that there is a dialogue between the patient and the provider, and so not just in our patient programs but also in our provider programs we’re trying to embed this concept of shared decision-making. And I’ll give you one example of that. Just this past year we launched something called the Clinical Trials Community. Whether or not a patient enters a clinical trial or if they stay in that clinical trial is a really important and complicated decision, and so we want to make sure, both in our patient programs and in our provider programs, that there are materials there to facilitate that conversation. So, how can providers share some of these tools and resources with their patients in a clinical setting? Yes, we launched another resource not too long ago which allows for the patient education materials that we have to be embedded in the electronic medical record. This gives clinicians an opportunity in the clinical setting during an actual visit to be able to provide materials that helps to support that concept of shared dialogue and decision-making. Finally, and this has been so helpful. I know it’s going to be to our audience, to me, and all healthcare providers out there. Where can our audience go to learn more about the programs that your organization offers? Wonderful. Well, Michael, thank you so much for being with us today and sharing this very valuable information. Thank you. It was a pleasure, Dr. Caudle. Thanks so much. The Crohn’s & Colitis Foundation is not only a key resource for the estimated 3 million Americans diagnosed with IBD, but also their physicians. 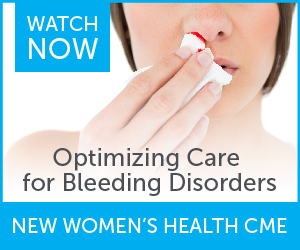 With no cure for inflammatory bowel disease, or IBD, currently available, educating healthcare professionals and their patients on the best ways to manage IBD is essential. 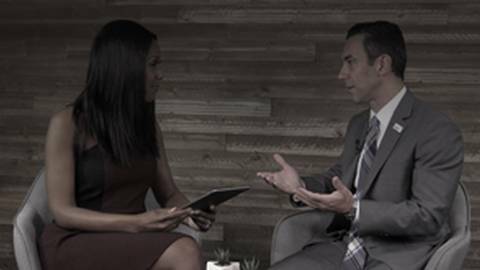 That’s why the Crohn’s & Colitis Foundation created training programs as part of their mission to eradicate these painful diseases, and here to talk more about these resources and programs with Dr. Jennifer Caudle is Michael Osso, President & CEO of the Crohn’s & Colitis Foundation.